Stacy Rash joined the Woodmont team in 2017. 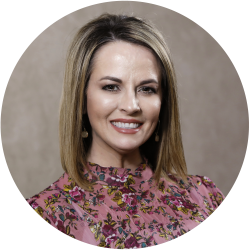 She provides oversight for the company’s third-party management business and handles the day-to-day property management of a shopping center portfolio that includes well-known retail and mixed-use projects in the DFW market. Stacy comes to us with experience as a Property Manager at Weitzman. She also has commercial real estate property management experience with Building Asset Management, where she managed kidney dialysis clinics around the world.